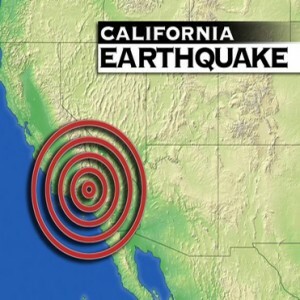 The temblor struck at 9:18 p.m. PDT and was centered 50 miles west of Eureka and about four miles beneath the Pacific seabed, according to the U.S. Geological Survey. It was followed by about a half-dozen aftershocks, including one of magnitude 4.6. There were no reports of any damages or injuries though the quake was felt widely and strongly, according sheriff's and fire officials in Humboldt County, which includes most of the populated areas near the epicenter. Jana Pursley, a geophysicist with the National Earthquake Information Center, said that based on the area's tectonics and past temblors, damages or casualties were unlikely.